Thai Snack in Jackfruit: Every time we visit Thailand, we come across new Thai kanom (snacks). 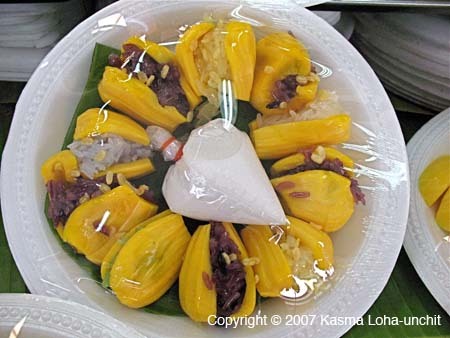 Here you see jackfruit stuffed with various sweet fillings, such as sticky rice and coconut. They are surprisingly delicious.